For most people, remodeling the kitchen is one of the most important projects in their home. The kitchen is the center of the home and it is where a lot of people spend most of their time. Think back to last party that you had or attended . . . most of the people convened in the kitchen, right? So make sure your kitchen is ready for entertaining, family dinners, and baking projects. Love where you live – No matter how long you choose to live in your home, it should be a place that brings you joy and comfort. When you walk in the door we want you to take a deep sigh of relief because you are completely satisfied in your home. Increase value – When it comes time to sell your home, a luxurious, warm and spacious kitchen can greatly increase the value of your home. It can be the difference between your home and the home down the block. Especially with the housing market starting to rebound, kitchen remodeling Scottsdalemay be just the pick-up you need. Family – Have you always longed to have a kitchen where your kids can do homework, help prepare meals, and enjoy spending time? Or how about a kitchen in which you can have family meals together? Well, now is the right time. When you have a kitchen that has enough space for everyone it can bring your family closer and make it easier to have much-needed family time. Entertaining – When it comes to entertaining, most of us take that time to show off our home and/or skills in the kitchen. Food is prepared, the house is clean and you have enough space for people to enjoy themselves. Republic West Remodeling can help you feel proud of your home and make entertaining enjoyable for everyone. 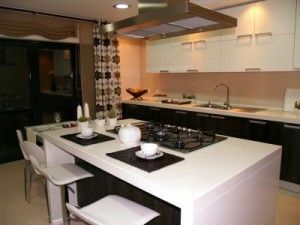 Kitchen remodeling Scottsdale can make a huge difference in the way you use and value your home. Republic West Remodeling will help you come up with and create the perfect remodeling plan with your needs, your budget, and your dream always in mind.